10 + 1 puzzles to feast upon! 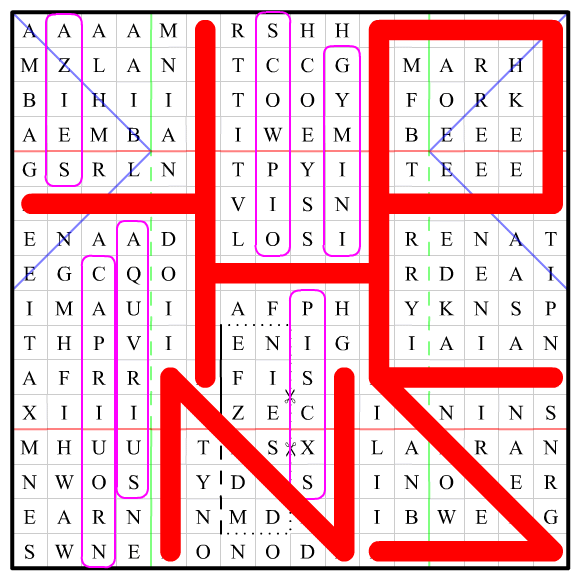 See the formatting (hit "edit") for transcriptions for Puzzles 4, 5, 7 and 9. You'll want to enlarge some of the images (there's nothing hidden, it's just that the text is small). What has the world's largest love handles? Cabaret for large cetaceans, maybe. What is the name of the world's largest organ? Risqué weighing instrument. What is the loudest thing in the ocean? Indigo Maori hut. What is the largest living thing on Earth? Depressed period of time. What are large, blue, rare, slow-moving, have calves, suffer from wet bottoms and are found all over the world? Unfocus all of it. What is the world's longest animal (2nd time)? Sad Pixar robot. What is smaller than the moon and keeps moving the sea around? Cyan fine-grained sedimentary rock. On our trip, Donald brought along two card game expansions and we played some solitaire. Here is one of the logs. Something seems amiss though... can you work out the cause? On my trip to Asia I learnt a lot about the culture — maybe I should go somewhere more tropical next year. I hope this letter find you on a very fine day. I apologise in advance for the spontaneous communication but I felt the need to convay my feelings no matter what, even though you are undoutedly busy working on your inventions. To be dredfully honest, I was initialy going to ring. A proper love letter, however, is to my knowlege much more romantic, and thus I pen this heartfelt message for you, my partner at the Viktorian Formal Dance. I hope that your heart accepts this letter, for I believe you to be extrardinarily bright, extremely kind, and truly beautiful. I know that this is highly unusual coming from me, as I so not easily give such praise, but I do hope that we can get along better. Seven o'clock at night is my telephone curfew time. Ring me before then should you wish to reply, or by all means feel free to write back. I will be awaiting your risponse. Full solution details are on this spreadsheet. Thanks to Gareth McCaughan, Wesley Situ, noneuclideanisms, ffao, and xnor for the help solving. and LABOURER, the unclued word, is the answer. The title is a reference to the British comedy/trivia show QI. Specifically, there's a running gag where Alan Davies (one of the "contestants") answers "blue whale" and gets the klaxon (a trigger for a pre-set wrong answer). We look at the actual answers and the changed positions in each word. For instance, the first real answer was "beluga whale" and the first blue whale-ish phrase was CLUB WHALE. The first and fourth letters were changed, so we take the first and fourth letters of "beluga whale" and get BU. Repeating this process with the rest of the answers gives the answer BUREAUCRACY. The blanks can all be filled with math-related terms, and lines connect related terms. The videos are Numberphile videos (a math Youtube channel known for their brown paper). Reading off the first letters of the videos (left to right, top to bottom) gives the answer BUSINESS LISTINGS. Each of the clues solves to a four-letter word. These four-letter words are very similar... in fact, many of them differ by only one letter! You can rearrange them into a word ladder. The end words are GRAD and CODA, which can give you the orientation - GRAD goes on the top to make GRAY, and CODA goes on the bottom to make CODE. Gray code is a method of "counting" similar to binary, but only one bit changes in between each number. Assign each line a "number" in Gray code (from 0000 at the start to 1000 at the end). The first letters of each clue, when re-sorted in the proper order, say AND NOW INDEX BIN. Reinterpreting each line's Gray code as bin[ary], and indexing into them by that number, gives the phrase ANSWER OZ ROAD. Highlighting all the occurrences of ALASKA gives "JOHNS", which doesn't really mean anything to us yet. Folding on the lines and cutting out gives a house with a door that opens. Opening the door, you can see the message "THEN AFFIX IZE". The enumerations are meant to clue the books "Looking for Alaska" (which we've done), "The Fault in our Stars" (which is probably related somehow), and "Paper Towns" (which we've made). How is a JOHN related to those three? Well, John Green is the author of those three books! Adding "ize" like the message says gives us AUTHORIZE, our answer. The f card (which appears to be missing) is PORT, which is the answer. 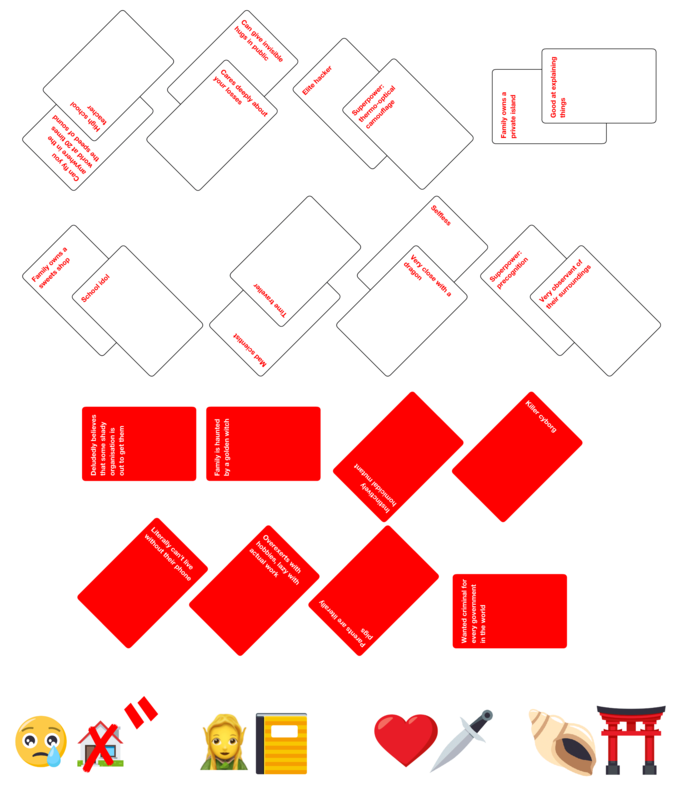 This is a parody of the card game Red Flags, but the "dates" are all descriptions of characters from Japanese media. The emoji helpfully tell us how to order them. The first letters of the series that the characters come from spell "USE FLAGS". This is where the directions come into play - reading off the directions of the cards as Japanese semaphore gives you the answer, DEMERARA (a region in Guyana). There are several mistakes in the message. They spell out SEBALD CODE. This is a code from the novel series, "A Series of Unfortunate Events". Sebald Code works by hiding a message in between two rings of a bell. Every eleventh word in between is part of the code. Here, the word "ring" appears twice - taking every eleventh word in between spells out "A romantic partner accepts extremely unusual praise seven", which is a cryptic clue. (The "seven" is the enumeration.) The solution to the cryptic clue, and the puzzle, is ADULATE. "Peel" in that game means that everyone needs to add another letter to their grid. It appears that everyone's already picked up their extra tiles - and they spell NO TWO LETTERS, letting us know that they don't make any two-letter words. The "fastest" way to incorporate those letters involves moving two tiles: the one just drawn, and one already in the grid. Those extra letters spell SNOWY HOLIDAY, the solution. Each puzzle is associated with a color somehow. These colors are (conveniently) alphabetical. They also happen to be the 10 colors used in resistor color codes in electrical engineering. Each answer clues a two word phrase of which the first word is a color. For instance, "bureaucracy" is a synonym for "red tape". Sorting answers by their puzzles' colors, then indexing into the non-color word by the color word code gives a final answer of RESISTANCE. Wrap-up: The making of "This puzzle's main portion is a piece of… cake?" This is not a solution to the puzzle but provides notes from its poser. This type of answer has been approved by the community. Caution: This post contains major spoilers for the puzzle. Also, this is a long read. A month ago we had @stacksfiller's Sensational Clues, which lead to a fun solving session in chat. I wanted to create a mini puzzle hunt that would lead to a similar experience, and realised that metapuzzles, the most likely candidate for the next fortnightly topic challenge, would work. Since metapuzzles meant lots of subpuzzles, I got to work right away. The theme was decided on very quickly, but since the final code was a standard puzzling mechanic, I decided to theme each puzzle to give an ordering. Because of this restriction, I decided not to force myself to tie the subpuzzle answer to the subpuzzle's theme if I found it too hard. I later regretted giving myself this leeway for some puzzles, but did my best to incorporate the answer into the title or flavour text. Overall I was quite happy with how it went, and I hope those who solved it enjoyed the ride. Luckily there weren't any catastrophic errors with the puzzle as I had feared (barring the #9 & #10 gaffe), since a few of the puzzles were very prone to mistakes. This was one of the first puzzles completed due to its simplicity and was originally my ballpark estimate for the subpuzzle difficulties. Of course, the end result's difficulties were much more varied. After creating an initial version of this puzzle, I later realised that I could use the sole other 8-letter word to reinforce the theme. The puzzle was redone to introduce the word CHARCOAL, just in case it wasn't obvious that the intended colour connection was the missing black squares. Fortunately it doesn't take long to create a crossword of this size, with only two words locked in. I initially had a different puzzle for blue, consisting of 5 clues that gave the words CHIPS, GREAT, MANAGEMENT, SERVICE, SPEECH as well as blanks indicating phrases and how to extract from them. The trick was that each word could be connected with a stage of grief to give a phrase, with the answer being VIP TREATMENT for RED CARPET. I later realised that I had inadvertedly taken the idea from the 2017 MIT Mystery Hunt, and since the puzzle was too easy anyway I opted for a rewrite. While thinking of blue items I recalled the "blue whale" gag from QI, which immediately led to the puzzle's final form. There weren't that many "real answers" I could extract letters from, but there were enough to create a subpuzzle answer. The (2nd time) in "What is the world's longest animal (2nd time)?" is because the question was asked twice on the show — the series A answer of "lion's mane jellyfish" was later updated to "bootlace worm" in series C.
This was the second-last puzzle I got an idea for. Recalling the Puzzling community's love of Numberphile and the channel's use of brown paper (which became their branding colour), I felt that Numberphile would make an appropriate theme. 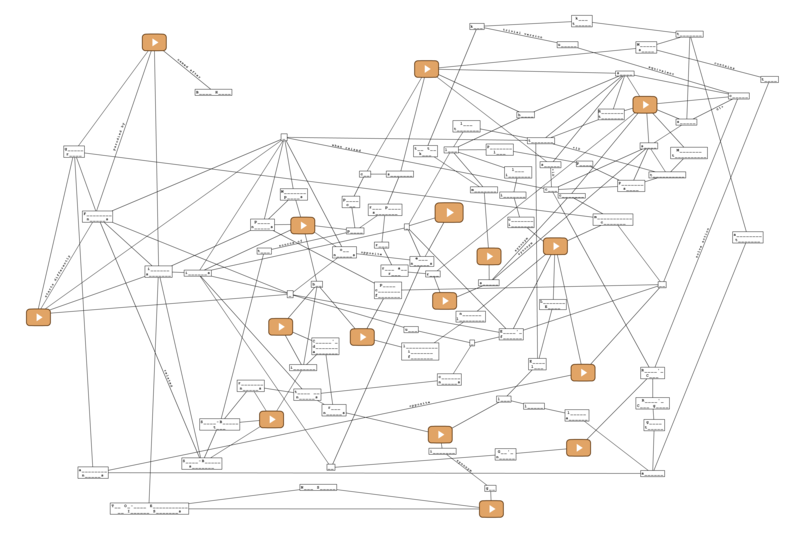 There was a lot of back-and-forth with adding new connections then removing weaker connections — you may notice that the graph above does not match the final redrawn version. 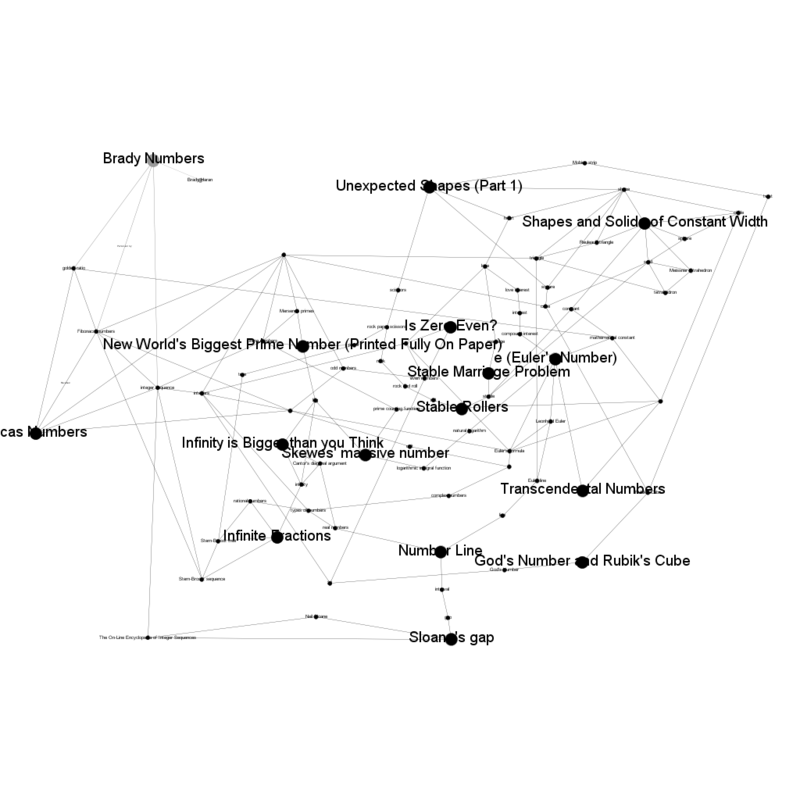 I was particularly happy with the nodes rock paper scissors and Euler's formula. Plural s's were used solely for number sets, and had to be revealed to make it obvious when an answer was plural or not. I originally hoped to make use of the actual numbers featured by Numberphile, but failed to come up with a reasonable mechanic. 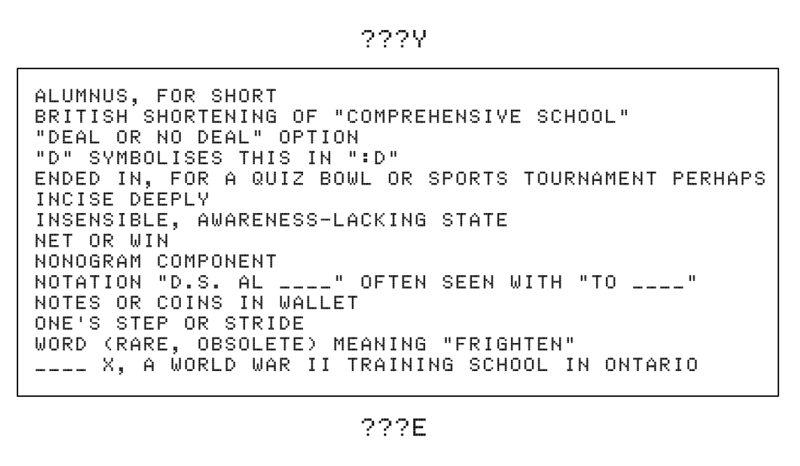 The answer to this puzzle was originally BUSINESS DIRECTORY, but as of writing no Numberphile video starts with a Y. As @Deusovi noted, the title is a reference to the Hello Internet podcast, of which Numberphile's creator Brady Haran is a co-creator (along with CGP Grey). Gray/grey didn't seem like it had much going for it in terms of puzzle ideas — Gray's Anatomy was my first thought, but it didn't go anywhere. Next came Gray code, and realising that changing one bit at a time is similar to a word ladder, I decided on that as the theme. The problem now was how to tie the two together. 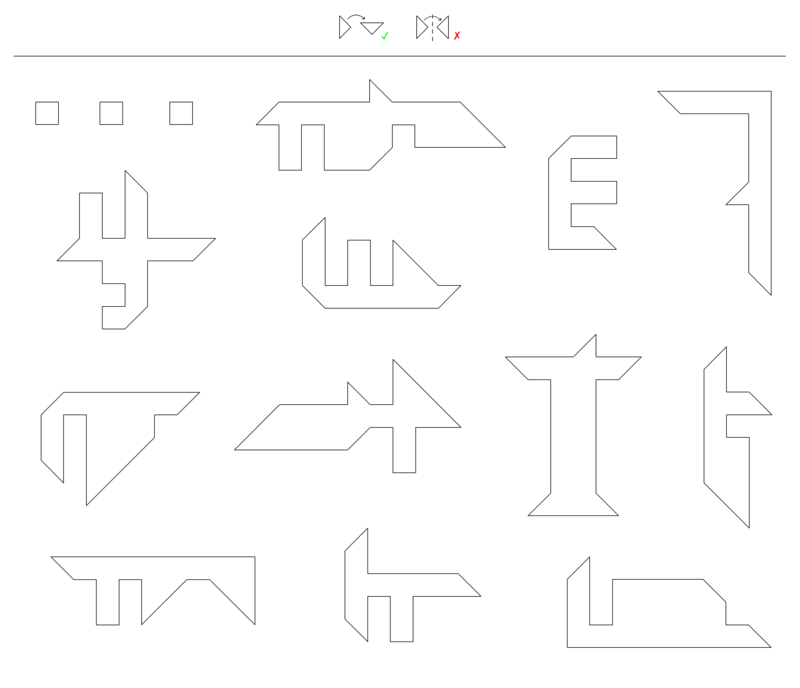 The final result is a nice little puzzle, but doesn't quite make use of Gray code as much as I'd hoped. The ladder itself actually follows the Gray code bit changes, but it is not necessary to notice that to solve the puzzle. In terms of generating the word ladder with two fixed ends, it's easier to generate from each end separately to possible halfway points, then look at any halfway points in common between both sets. Clues doing double duty was a little daring since two letters are fixed, and with the messages I had chosen, GRIN's clue had to start with DS. Some of the resulting clues weren't so great (e.g. CAME, COMP) but many of the clues just happened to work out right so I'm quite happy with the result (e.g. N?N → Nonogram). CODA's clue is long to disambiguate from FINE. The final message starts with "ANSWER IS" to make it clear that the phrase verbatim is the answer, rather than something related to it. This puzzle's idea came last. I had hoped to limit the number of knowledge-based puzzles as much as possible, but failed to come up with better in the end. The idea came from noticing that John Green had a book called "Looking for Alaska", which easily lent itself to a word search and was doubly nice as ALASKA had 3 As for forming letters. "The Fault in Our Stars" also seemed like a viable puzzle mechanic, and the "Paper Towns" mechanic was added for variety. At this point I had also reverted to tying the subpuzzle answer to the theme, and John Green being an author (on top of being an internet personality) certainly helped. Solvers notice an abundance of ALASKAs and try to find them all, spelling JOHNS. There's an unfortunate overlap in letters due to wanting a 16x16 grid for Paper Towns, but it was hoped that the N was unambiguous enough to indicate that the rest were letters too. 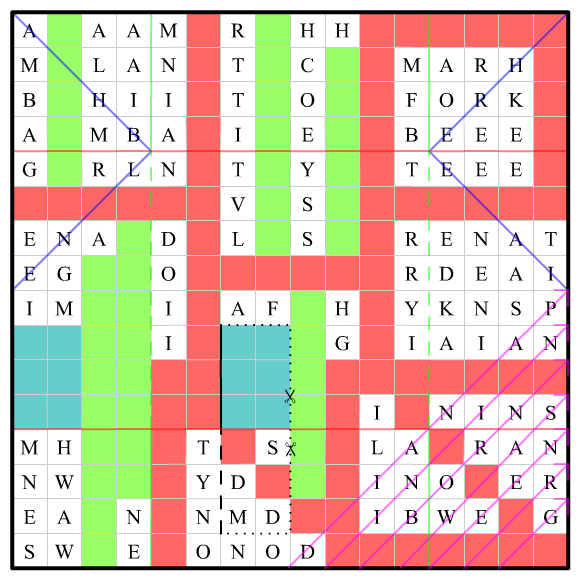 Solvers make the connection to John Green by looking up "John" and "Alaska", plus possibly a colour if the meta ordering had been backsolved. The Paper Towns puzzle is solved by following the folding/cutting instructions. Solvers notice near-constellations heading downwards in the gaps between the ALASKAs, which is the Fault in Our Stars puzzle. CAPRIUORN and ACQVRIUS, the two longest entries, were placed side-by-side in the hope that they would be recognisable, but admittedly with everything else going on they're easy to miss. There are also plenty of not-quite-LEOs in non-downward directions, but it was hoped that they would be ignored as it is easy to have only two letters matching. The first letters of the title give DFTBA. In hindsight I wished that the title gave more of a clue, either by hinting at something else as well or by capitalising the F and T.
The text is taken from John's Wikipedia page and took a number of tries with different texts/orientations until I got one that didn't introduce a downwards pseudo-LEO. This did have the unfortunate side effect of introducing misleadingly suspicious phrases like AAAAMARSH and FORK. It's worth noting that this is the only puzzle where the answer's colour matches the puzzle's theme colour. Ideally I would have made them all differ, but I prioritised colour phrase variety for the meta. This was one of the earliest ideas conceived, capitalising on Dominion out of necessity for an orange puzzle. It is also the single puzzle that took the longest to create since keeping track of state is surprisingly frustrating, and I ended up writing a program to semi-simulate game moves. No Duration card has a K in its name, forcing me to dilute the colour theme. There would need to be a lot of buys in the game in order to achieve the necessary indices, meaning that it would not be possible for even 9/10 cards to be durations or else the log would get too long. Here is that first attempt after about 4 day's worth of constructing over several weeks. This version uses cards from 3 expansions — Seaside, Adventures and Guilds — and you'll notice that the notation is different too. The answer was not thematic enough, and was hard to tie to the theme even with flavour text. Only 5/10 cards were duration cards, which didn't feel "orange" enough. There were too many game mechanics used (coin tokens, tavern mats) which made me feel that it would be too unfair for those unfamiliar with Dominion. I was happy with this new idea since it allowed me to make 9/10 cards durations again (nicely limiting the search space), and I decided to explicitly state that only two expansions were involved to limit the search space further. Every kingdom card is bought exactly once to make it clear that the number of cards bought is not significant. The amount of money specified in each turn is exactly the amount of money used, with any extra treasure discarded. This makes it clear that f could only be bought in Turn 2. Turn 8 has a weird move where the player has \$6 but opts to buy a \$4 Caravan. This was the result of me forgetting to factor in the previous turn's Merchant Ship, and I was unwilling to go for another rewrite at that point, opting to discard 2 Coppers instead. The kingdom cards are listed in cost order, then alphabetical order. This doesn't help much, but at least tells you that f is alphabetically after Caravan. In puzzling it's usually nice to sort anything where the order doesn't matter. In most cases the next-turn duration actions are played in alphabetical order, except one instance where an Amulet trashes a copper drawn by a Wharf. I should point out that MIT2012 had a similar puzzle, although the revealed information and cards involved there are substantially different. This puzzle was initially a metacryptic with 5 cryptic clues, each with a shade of red hidden within it to hint that this was the red puzzle. The answer was the same as in the final version, but since I felt that the use of cryptics wasn't "red" enough, the idea was scrapped (especially after puzzle 8's rewrite to use a cryptic). I've played the game Red Flags before, and the "Flags" part immediately made me think semaphore. Japanese semaphore uses red and white flags, coincidentally the same two colours used in the Red Flags game, leading to a usable mechanic. DEMERARA was also nicely spellable with Japanese kana characters, although the need for a dakuten ( ﾞ) to convert TE to DE was annoying since I didn't want to require too much Japanese language knowledge. To compensate, I explicitly hinted at a tropical region in the flavour text and hoped that, in the worst case, solvers would look up TEMERARA only to be autocorrected. There's actually a flag combination for the dakuten as well (red down, white up-right), but I did not make use of this as it is difficult to search for. The use of Japanese game and anime characters came about due to a need to clue the use of Japanese semaphore. 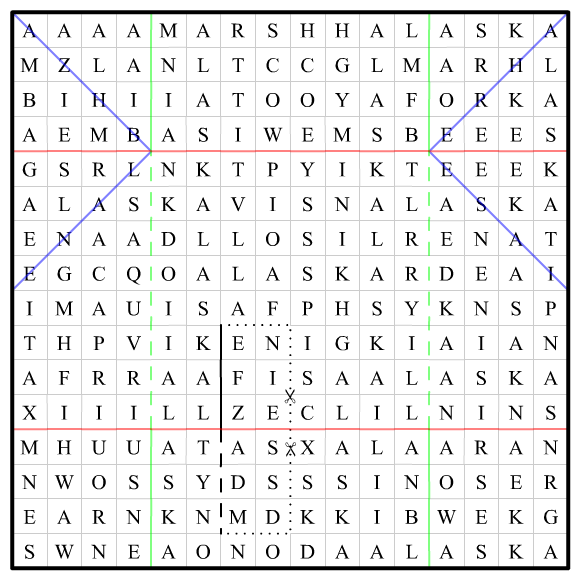 Since I could choose any characters/series I wished, I decided to put a clue USE FLAGS in the first letters of titles to hint that it was time to focus on the card orientations rather than the characters/series. This puzzle initially didn't have the emoji line for ordering, and instead had the white cards already in the right order. At the eleventh hour, I realised that you can actually read the flag semaphore using just the white flags, leading to the emoji quick patch. Each character is a (or the) main protagonist for their respective series. It's surprisingly difficult to distil a character to two positives and a negative, leading to most characters being from a supernatural/futuristic series. I considered cluing the card directions instead of providing them outright (e.g. descriptions all start with NESW), but due to the above point I realised that getting viable descriptions was already hard enough. It was extremely difficult to clue Honoka from Love Live! while ruling out Haruka from THE iDOLM@STER, for all those game/anime fans out there. I tried to make the clues at least somewhat searchable for those unfamiliar with Japanese games/anime, considering how knowledge-heavy this puzzle is. Spirited Away (Sen to Chihiro no Kamikakushi) and Assassination Classroom (Ansatsu Kyoushitsu) have the nice property that their English and Japanese names start with the same letter. I thought this was neat since it would make the USE FLAGS message easier to spot, and considered making all series have this property, but I liked the Mirai Nikki / Future Diary set too much to change it. Umineko was the only series I was unfamiliar with at the start of construction, needing it due to the U. I ended up getting the game and started playing it. "A Lovely Game of Cards" refers to the love/date aspect of Red Flags, although this aspect is never used. Using the canonical romantic partners of game/anime series was considered, but was deemed too unfair. Several characters named Violet immediately sprang to mind in the search for a violet puzzle, and the codes in A Series of Unfortunate Events made Violet Baudelaire the most appropriate. I recalled the puzzle "Volunteer Fire Department" from MUMS2012, and decided that a text version of Sebald code would work. The spelling/grammatical mistakes mechanic was used by Aunt Josephine in The Wide Window. "Very fine day" and "Victorian Formal Dance" both have the initialism VFD, with "Victorian" being a further reference to the series' tone. The fact that the letter is addressed to Violet is hinted by "Dear V" and the mention of their "inventions". 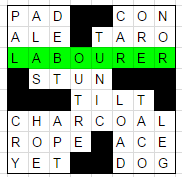 This puzzle initially had the answer WINNER AWARD, cluing BLUE RIBBON, given outright by the Sebald code. I later learnt of BLUE RIBAND, and opted for a rewrite to remove the ambiguity whilst adding another small layer of difficulty via a cryptic. This subpuzzle is still the easiest of the 10 despite that, and as such it has one of the least helpful titles. This puzzle has the weakest colour link, with the intention being that the pieces are white, and if this jigsaw was printed out it would most likely be done on white printer paper. "Ghosts" was intended to be a further nudge towards white, and the alphabetical-by-theme-colour puzzle order (after the 9&10 switch at least) could be used to disambiguate. 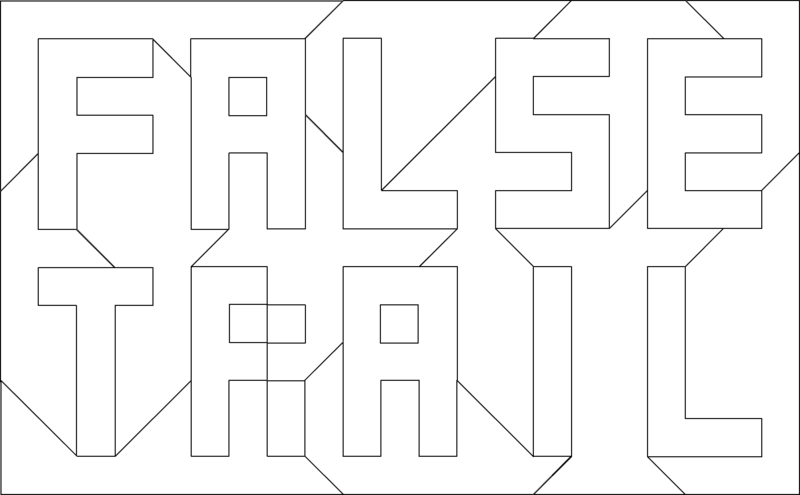 This puzzle's idea came very quickly after making the connection FALSE TRAIL → NEGATIVE SPACE. The intended solve path was to realise that there was an even number of each diagonal edge size, with the presence of exactly two 3-long edges being a strong indicator that you want to put them together. The "rotations only" clue was to limit the search space, which really blows up if you allow flipping. The pieces were intentionally placed far apart and on a transparent background to make them easier to crop out for those solving via an image editor. 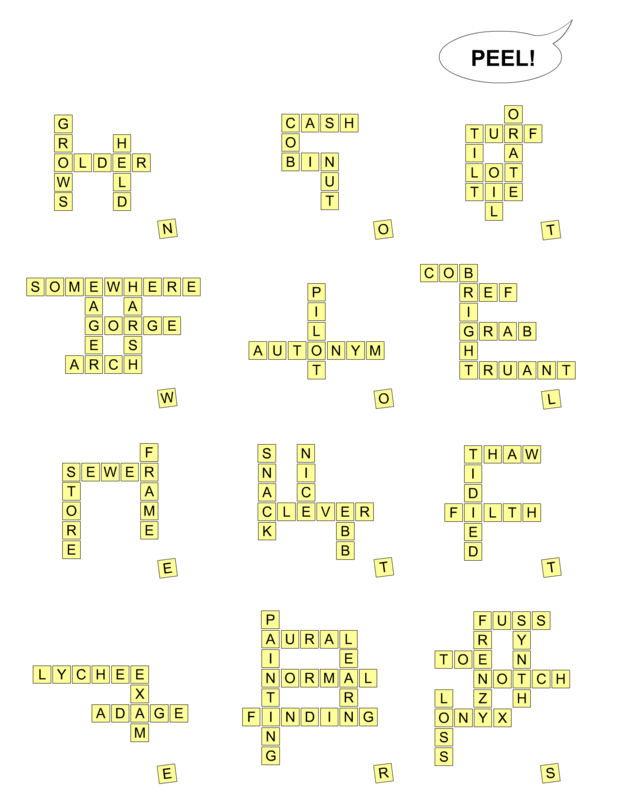 After considering Bananagrams as a possible yellow idea, this puzzle's concept came together pretty quickly. The "no two letters" restriction is necessary to make the puzzle work, and the SOWPODS restriction is just because that's the dictionary I checked against with a program. The idea to spell NO TWO LETTERS using the tiles was because I didn't want to just pick arbitrary tiles to incorporate. 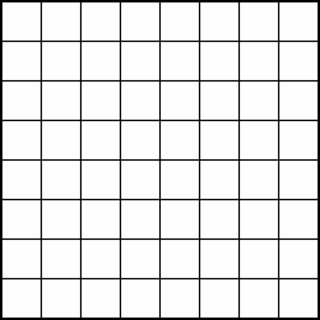 I started by creating some grids by hand, then later found all of them to be horribly invalid once I wrote and ran a checker program. From there, construction just consisted of starting with a grid I thought would work, then patching out any solutions I overlooked. Grids where the letter to incorporate was a vowel or S were the hardest to come up with. I aimed for a good spread of solutions, ranging from "extend a single long word" to "simultaneously change two words with one letter". Coming up with the set of 12 grids took about 2 days. Mechanic-wise I'm quite happy with this one, since it doesn't require knowledge, the grids are bite-sized puzzles and I personally haven't seen anything similar before. This puzzle's answer doesn't match the theme well, but I wanted a puzzle to have a "white" phrase for the meta, to give another non-rainbow colour aside from brown. The title is a simple reference to banana splits, as well as hinting at the fact that you want an "efficient" rearrangement. The title is a loose reference to the phrase piece de resistance, the main dish of a meal. I originally had "main dish" instead of "main portion" in the title, but felt that that was too much of a hint for those familiar with the phrase. Not the answer you're looking for? Browse other questions tagged wordplay enigmatic-puzzle knowledge metapuzzles or ask your own question. What is the minimum number of steps to solve this cloning particles on chessboard puzzle? What is special about this trip? Make a Straight Flush to win!